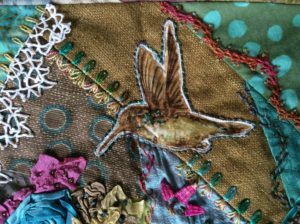 Susan Edmonson Designs – Artist. 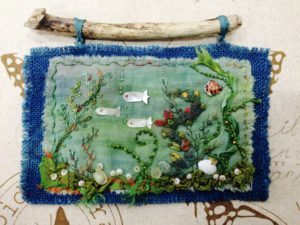 Instructor. 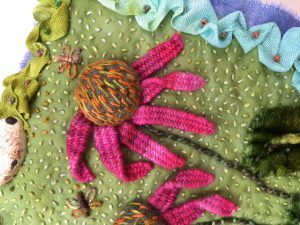 Fiber Arts Supplier. 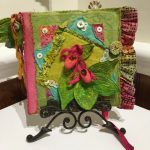 Welcome to the website of Susan Edmonson Designs. 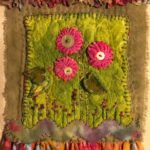 Susan Edmonson is an award winning quilt maker who started this journey in 1981 and today continues to wow her audiences with her unique artistry. 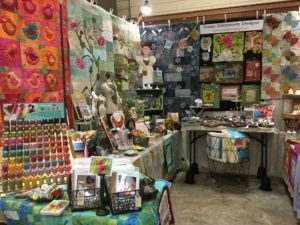 She has designed quilt patterns and kits for two national stores as well as her own pattern line. 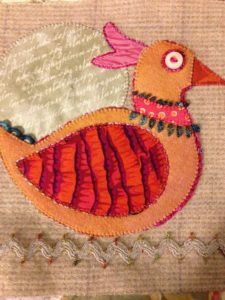 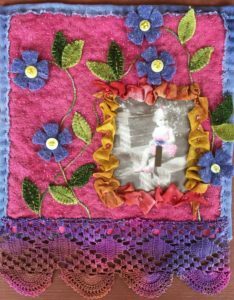 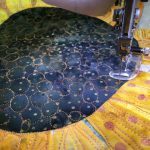 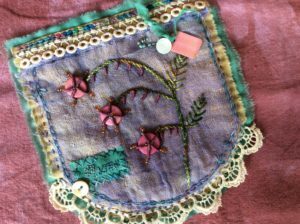 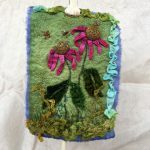 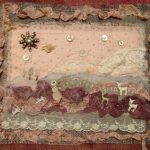 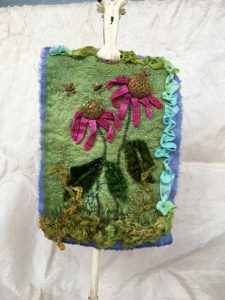 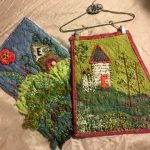 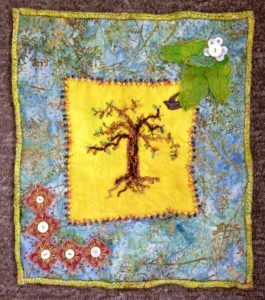 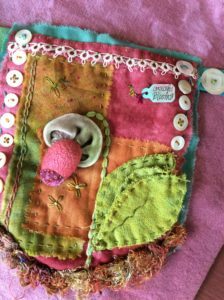 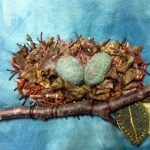 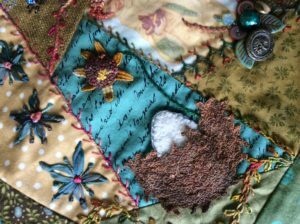 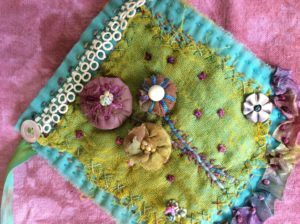 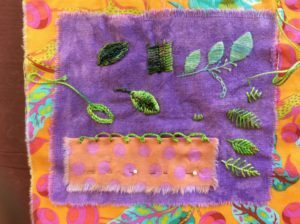 Her specialties have been folk art, crazy quilted purses, wall quilts, and “flower doodles.” Fabric collage books and mini art quilts are among her newest creations using mixed media techniques. 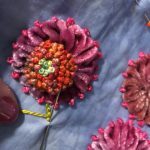 All of her work is lavished with beading and embroidery. 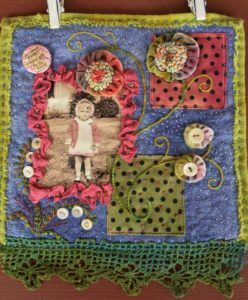 She loves working with vintage style fabrics and colors. 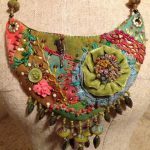 The patterns she designs have evolved from original pieces inspired from vintage quilt designs and nature that showcase her own unique style. 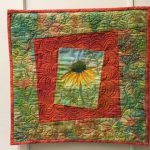 She teaches and lectures at local and regional guilds throughout the Southeast. 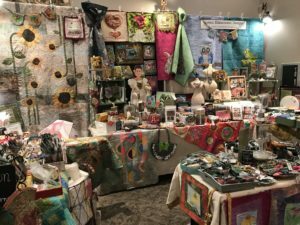 Most recently she has been on the faculty for many Symposiums, Myrtle Beach Quilt Party, Mid-Atlantic Quiltfest, Inspired, Art & Soul, John C. Campbell Folk School, Carolina Mixed Media Art Guild Retreat & other large events. 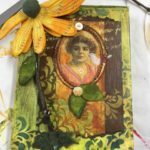 Her students are always encouraged to have fun with their projects while embracing new techniques. 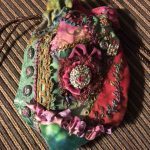 Many of her creations have been featured in “Altered Couture”, “Haute Handbag” and “Sew Somerset” publications by Stampington & Co. and more. 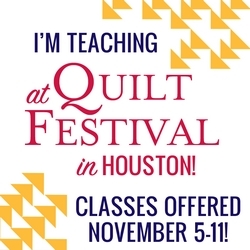 She has taught at Houston International Quiltfest in 2015, and will again in October of 2017. 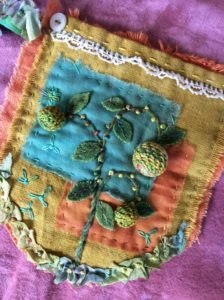 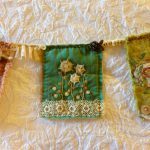 In 2005 – 2011 Susan and Kristin Steiner teamed up to form “Creative Spirits.” This was a very unique creativity retreat held in Blowing Rock, N.C. called “Believe In Yourself.” Many mixed media & fabric techniques were always featured. 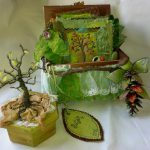 Fall 2012 Susan began a new mixed media retreat/workshop called “Stitched With Creativity”. 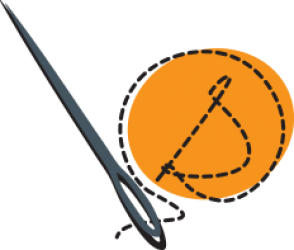 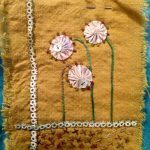 This event focuses on stitching with many different materials & elements using many creative techniques to create unique art! 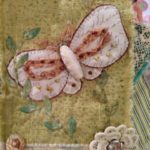 She has been published in Quilting Arts magazine and was featured on Quilting Arts TV in the 1700 & 1800 series. 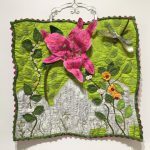 Susan majored in Art and Design at Queens College in Charlotte, N.C. 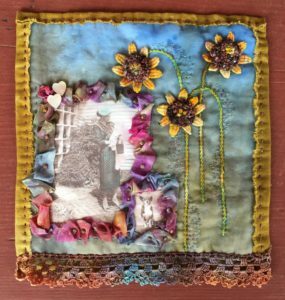 Although raised in Charlotte, she now lives in Concord, N.C. with her husband Tim, of 39 years. 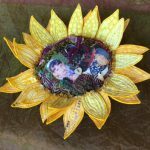 Brandon and Chad, her two sons and their families are a very important part of her life. 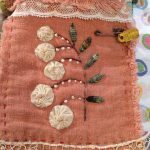 (And there is a tiny bit of baby pink in the near future). 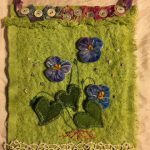 Fiber arts are my passion. 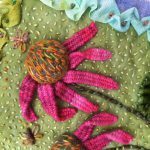 I majored in art at Queens University in Charlotte, NC, and have not slowed down since. 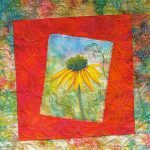 I have been a quilt designer, hosted art retreats, traveled to shops all over the country to teach, and am a Bernina Ambassador. 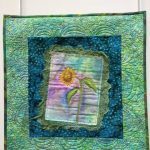 I love sharing this passion I have for quilting, stitching and creating with everyone. 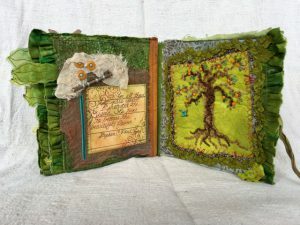 If you are interested in scheduling me for a class at your shop, or for a small group, the best thing to do is to give me a call, or send me an email, and let me know when and where. 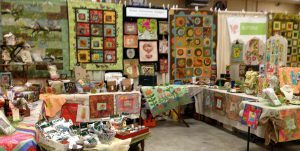 Asheville Quilt Show, Agriculture Center on Airport Rd.